We deal minimum in 50 Units. We are among the reputed organizations, highly engaged in offering an optimum quality range of Fuel Monitoring System. This system is available in various specifications as per the demands of our valuable clients. The offered system is highly acknowledged by our clients for its excellent performance and low maintenance features. The provided system is developed using the modern technology. Further, this system can be availed by our clients at affordable price. We prefer dealing in Gujarat (India). Established in the year 2012 at Vadodara (Gujarat, India), we "Sarvam Automation" are widely acclaimed in the market as the reliable Trader and Supplier of a wide array of Vehicle Tracking System, Fleet Management System, Container Tracking System, Personal Tracking System, Heavy Equipment Management System, Fuel Monitoring System, etc. In compliance with the set industry norms and guidelines, these systems are designed using modern technology at vendors’ end. 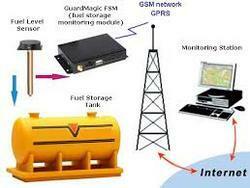 Offered systems are GPS, GSM and GPRS based for managing fleet vehicles. These systems provide current status of all fleets, list of fleets on map, historical reply of individual fleet, location reports, alert reports, fuel usage reports, utilization information, fleet history logs and more. Offered systems are widely known in the market for their hassle free performance, simple installation and precision-designed. We are providing our products with brand name Fleetos. We are providing Installation Service to our client.